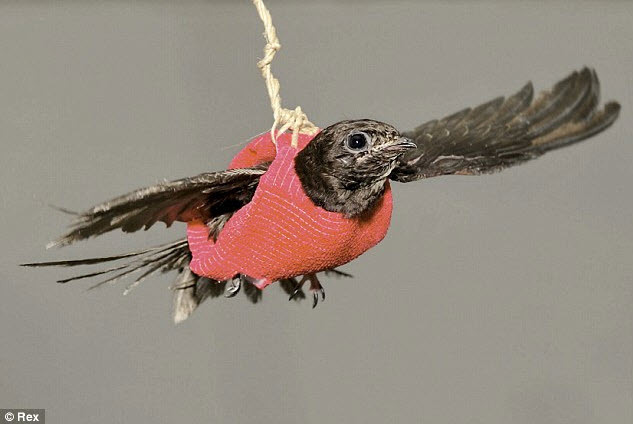 Help an injured bird get ready to fly again! Measure the bird and cut a gauze pad to fit over your bird’s chest. Use veterinary bandages to hold the gauze pad in place and cut out holes for your bird’s legs and head. Tie a sturdy string to the back of the harness and hang the string from an eyelet hook in the ceiling.